The weather forecast is for rain, but that's okay. With the waterproof Mens Byron Jacket, it will take more than a little bit of water to keep you indoors. 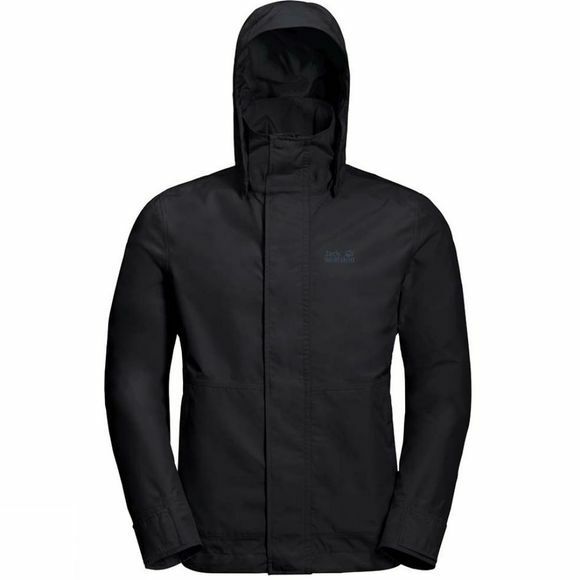 This outdoor jacket is made of a 100% recycled weatherproof fabric and has all the functional features you need when you're out and about in the wind and the rain. In heavy rain, you can adjust the hood so that it protects your face while still alLowing you to see. When the rain stops simply detach the hood. Valuables can be safely stashed in the two zipped hand pockets.